Sept 15 - Oct 19: Exhibition at the Vertu Fine Art Gallery on the Socorro plaza. Paintings created during the multi-day paintout on Sept 12-14 by PAPNM members will be exhibited. Saturday, Sept 14, 10 am - noon: Quick Draw for the paintout/exhibition participants on the plaza. Saturday, Sept 14: 2:00 - 4:00 pm: Opening Reception for the exhibition: First, second, and third place prizes will be awarded for exhibition entries. PAPNM members may register for the paintout by logging on and then going to the Members Only>Member Registration page. 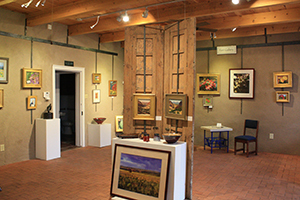 Then once registered they may participate in the Sept 12-14 paintout and then show the resulting plein air paintings in the Vertu Fine Art Gallery in Socorro, Sept 15-Oct 19. Participants: please check the Registration page on the Members Only page for more details about the paintout and the delivery/pickup of the paintings.